1. Connect Populrr to Spotify. 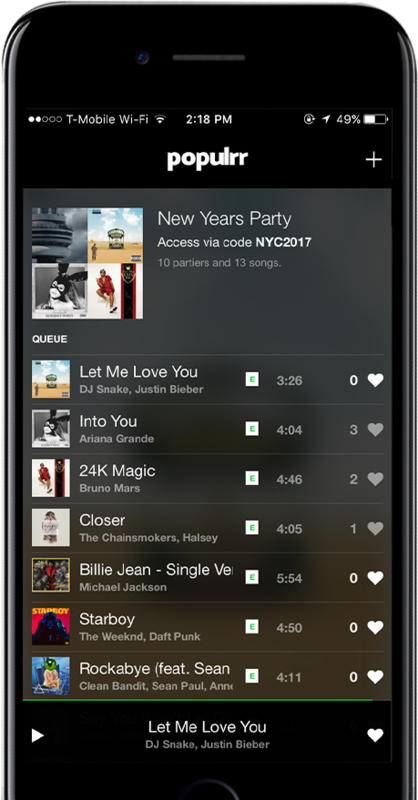 Populrr controls your party playlist. Spotify plays the actual playlist. 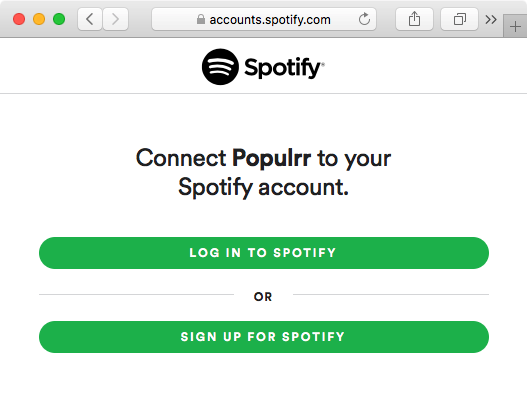 Connect an existing or new Spotify account by clicking Start Party. 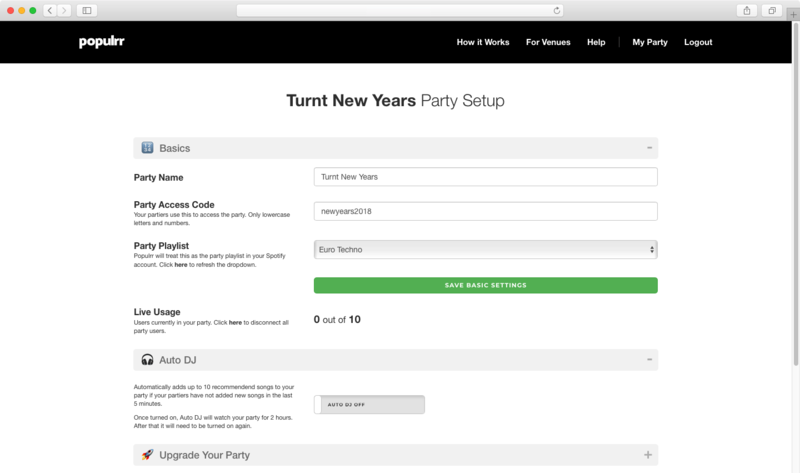 Customize settings for your party including: party access code, playlist, voting, explicit settings, Auto DJ and more. Larger parties can also upgrade their capacity. Start playing your party playlist in the Spotify app. Send your guests to populrr.com/join with your party access code. Watch your Spotify player's playlist change as your partiers use Populrr to add and upvote songs! associated with Spotify or any other entities.